iTraining | Mac vs PC? 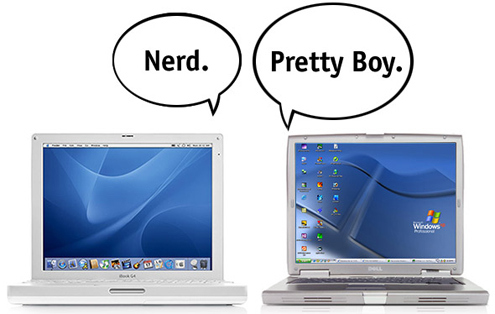 There are many reasons why you may choose Macs or PCs as the IT background of your department. You may not have a choice. However, we want to help you if you wish to argue either way for what you think is best for your students, your course and your team. 1. Tech Support - chances are that your IT technicians are PC users in the main. This means that if something goes wrong with your computers / server you will be able to get help - quickly. 2. Many homes will have PCs, therefore making this more accessible to the class outside of the classroom. Many businesses, including those in the film and media industries, use PCs. 3. The hardware can be purchased at very cheap prices on the high street. There are often deals at the large electrical chains, and your school / LEA will probably have a relationship with a PC provider already. You can build a PC from the ground up. 4. If you have no money, you will find that departments (like IT) will have computers you will be able to use if they are doing a ‘refresh’. Just ask if they have a couple of desktops you can use. Another idea is to ask local offices as they often upgrade to new PCs every four years. 5. There is a huge range of available software for PCs. All you need to do is to pop down your local PC World to have a look. 6. You have a huge range of specifications for PCs. So, depending on your budget the sky can be the limit! 7. PCs are still better to play games on - if your students are looking at this area, it may be a reason to go PC. 9. There are more compatible accessories for PCs. With Macs, you have to mainly use Apple products. 10. Your students will not need additional time to learn to use a PC. They will have been using one for years.